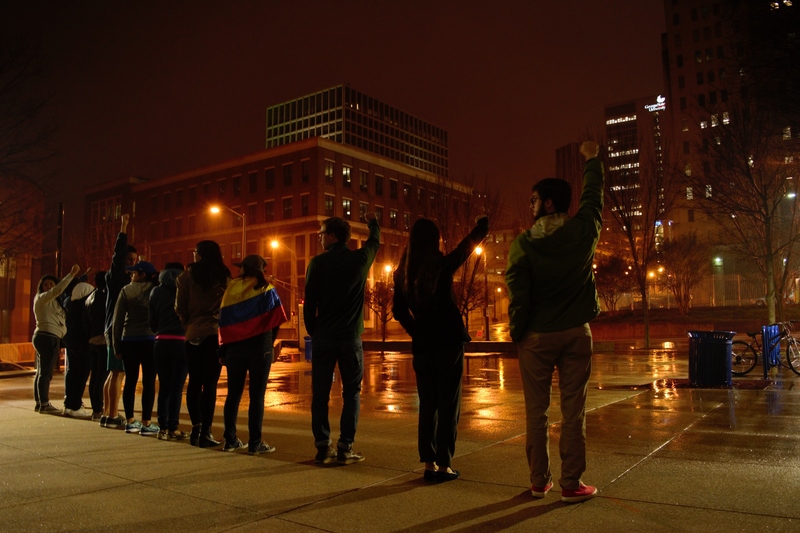 Protesters stand against Board of Regents’ policy on undocumented students. 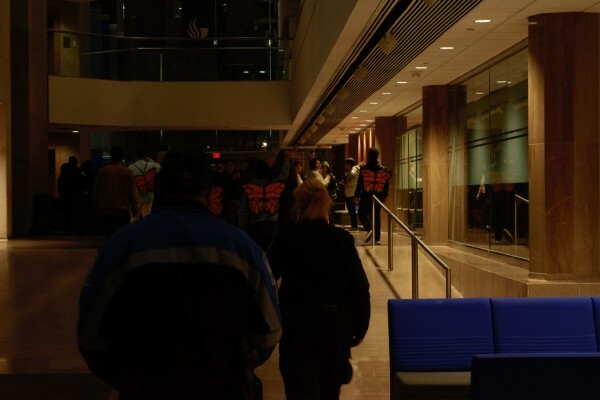 Last updated Feb. 2 at 12:00 to include arrest of eight protesters. A band of protesters rallied at Georgia State’s Honors College on Feb. 1 to call foul on the state’s laws on undocumented students. The laws, enacted in 2011, prohibit undocumented immigrants — even those who classify as Deferred Action for Childhood Arrivals (DACA) students — from claiming in-state tuition and enrolling at any of the state’s top five universities. One of the event’s organizers, Freedom University student Ashley Rivas-Triana, said the University of Georgia and Georgia Tech were also hosting protests of their own in opposition of the University System of Georgia’s Board of Regent’s policy on undocumented students. University police watch over the protesters inside the locked Honors College. The protest began on Monday afternoon inside the common area of the Honor’s College. But when students stayed put after being asked to leave by police, the sit-in was on. 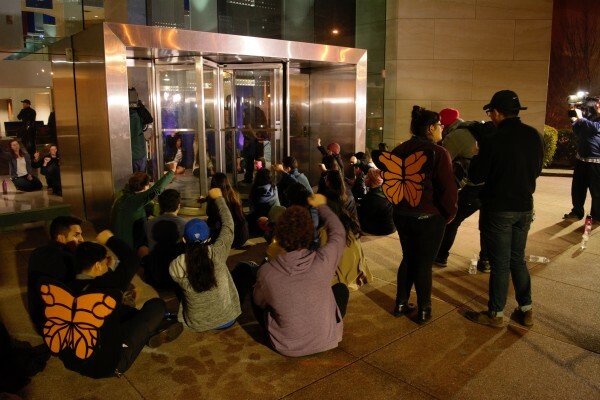 As the protest stretched on into the odd hours of Monday night and into Tuesday Morning, Georgia State University Police locked the building’s doors “to contain the crowd,” as one unnamed protester told The Signal. 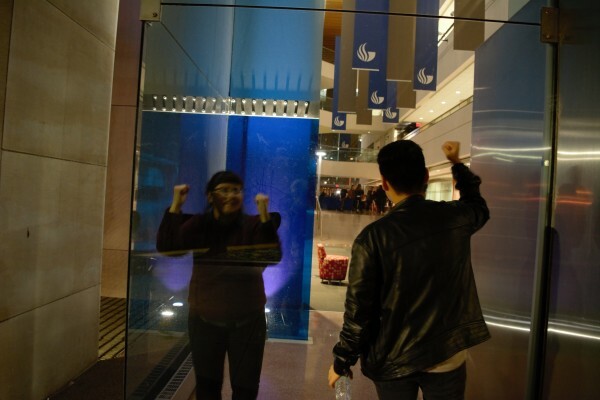 Students inside — who could not reenter if they chose to leave — banged on the Honors College windows in harmony with fellow protesters who wrapped from the outside. Protesters bang on the glass of the Honors College and chant rhythmically. Rivas-Triana, a DACA student, said she couldn’t attend her top choices of schools because of her legal status. Rivas-Triana, then wearing a pair of Monarch butterfly’s wings, said the protest is a community effort to encourage not just legislators, but the general public to be more culturally aware. You could say it was a sit-in.